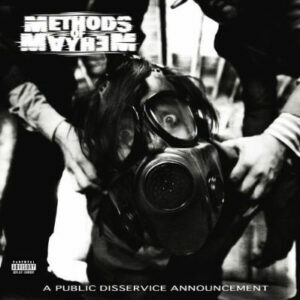 The second Methods of Mayhem album, ‘A Public Disservice Announcement,’ was the first truly collaborative effort an artist of Tommy’s magnitude has ever dared to attempt. The concept came easy, the execution did not – it took time, technology, patience and dedication. The first step was to set the parameters. Tommy and his team, including producer Scott Humphrey, singer-guitarist J3 and others, wrote and recorded the songs, which ran the gamut from hard rock anthems to ballads to dance tracks. Then they made the core components of each song available for download on thepublicrecord.com to anyone who wished to add their playing or otherwise re-interpret the music however they saw fit. Tommy listened to every single submission that was uploaded, chose the best, and integrated the actual audio tracks into the album’s final cuts.